Female Hockey Training - Should Females Train Differently? Female Hockey Training – Should We Train Differently? If you’re here reading this blog, there’s a good chance you are very interested in things such as training and nutrition optimization for hockey performance. And in order to be confident in what you’re doing, I’m going to go ahead and assume you likely follow plenty of Facebook and Instagram pages, maybe subscribe to a YouTube channel or two—and hey, maybe you even still subscribe to one of the ancient things called magazines. Of these do you think enters the publics eye every single day? Unfortunately, a lot of it is complete crap without a foundation of science behind it in order to maximize profits and sales, and double-unfortunately is that the female training world is a niche that has some of the most false marketing in existence. There is a ton of content out there regarding females that really tries to paint the picture that females are special unique snowflakes and that they should train dramatically different than males, this just simply isn’t true. Let me save you the horrendous Google search for articles like this and let you know it’s more like a 90/10 split. 90% of the training a female does should be exactly like their male counterparts. But, that last 10% does make a difference in how much one can gain from a given program and there definitely is both structural and biochemical differences between males and females that allow us to make certain tweaks to female programming to further individualize the process and get them the best results possible so they can become the best hockey players they can possibly be. Before we get into the 10% of differences that impact off-ice training for female hockey athletes, I think it’s important as well to first address the complete myth that women cannot handle a large volume of physical activity. That work mentioned above, by any definition, would be considered a very hard manual labor job in today’s society. Now with that myth out of the way, let’s get into some differences females can make to optimize their programming. I’m sure most of the readers are unfamiliar with Q angles, but they’re super simple. 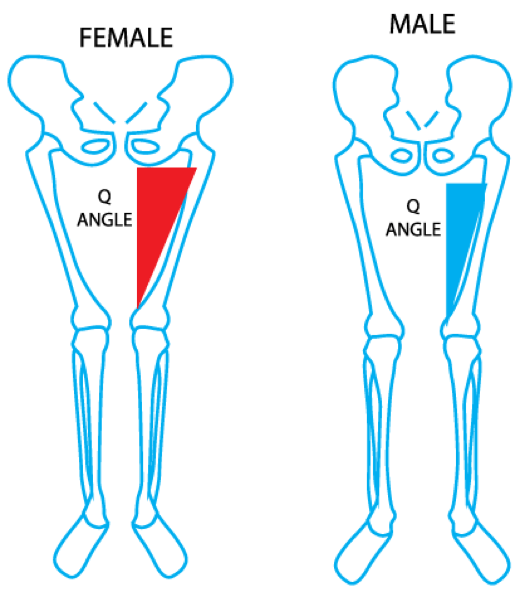 See the illustration above and how the wider set hips on females create a sharper angle going down towards the knee? This steeper Q angle creates more stress on the inside of the knee joint than a male’s knees. This isn’t something that you feel overnight but is something that causes knee issues over a long period of time. In a practical setting, it leads to two main conclusions. First being that females likely need to keep a close eye on their knee health if they are doing a lot of sprinting drills in their speed training, but, this also includes things like soccer, basketball, volleyball, long jogs, etc. The same amount of running will most likely create faster degradation issues in the knee’s than their male counterparts would suffer. I am not saying females can’t run, and I am also not saying that your knees are going to cave in any minute now. I am simply magnifying the importance of being aware of knee pain/stiffness and knowing when you need to back off. Secondly, as I’ve been articulating in my hockey articles for literally several years now, females have to focus hard on VMO work. You can do this by incorporating exercises such as the Peterson step up, heels-elevated BB hack squats, Bulgarian split squats, and simply making sure that when you do BB back squat that you go below parallel every time. The VMO is crucial in stabilizing valgus forces, it’s actually so good at this job that it has been demonstrated in research specifically on women to prevent ACL tears. Which is super important to care about because we have also seen that women incur 4-6x more ACL injuries than men playing the same high-risk sports (Hewett, T. 2010). Because of the broader hips and Q angle biomechanics, women tend to perform better with a wider stance on the squat, as well as a sumo deadlift exercise selection (as opposed to conventional). Quick takeaway: Watch running volume, squat below parallel, do wide stance stuff, and incorporate some more VMO work in your programming. You’ll be faster, stronger, and less injury prone this way. To simplify it, you can think of slow twitch muscle fibers as having the more “endurance-based” ergogenic effects on muscular performance, and fast twitch muscle fibers being impactful towards bouts of short, high-intensity effort as well as all explosive movement. In the research, we see that women have a greater amount of Type l (slow) muscle fiber distribution in their body, and that trained women generally aren’t able to change their Type l fibers into Type ll fibers (which men can do quite significantly with resistance training). (Martel, G. 2006 + Hunter, S. 2014). For these reasons, we have also seen in the research that women have greater endurance and more resistance to fatigue than men with the same strength level. (Fulco, CS. 1999). TIP #1: You should incorporate a high-intensity strength block in your training periodization somewhat more often than a man should. Since you are already working with less Type ll fibers, you really need to train in a way that maximizes the Type ll fibers that you DO have as they are extremely important for those high-intensity moments out on the ice. TIP #2: Because of your Type l dominant muscle fiber distribution, you should train more often with higher rep sets than a man. Women do better with higher rep sets than men because they can handle higher intensity loads for a greater period of time in comparison to their male counterparts (Maughan, R.J. 1986). This means, more often than not, opting for rep ranges within the 10-25 reps per set mark so you can truly train for your muscle fiber distribution to maximize the stimulus for progress you can create. TIP #3: Women should be training not just with higher reps, but an overall increased weekly training volume as well (this means a greater total volume of sets and reps per week than their male counterparts). Type l muscle fiber distribution, as well as some important hormonal processes (which we’ll discuss below) allow women to recover at a faster rate than men in between sets, and in between workouts (Fulco, CS. 1999 + Hunter, SK. 2014 + Judge, LW. 2010). Because of this, women benefit dramatically from training more often as their bodies can physically handle the additional training. TIP #4: When peaking women for maximum performance going into hockey camps or the season, it’s likely best to have them perform slightly less explosive training volume. This means less of the exercises like cleans, jumps, sprints, medicine ball throws, etc. I didn’t say no explosive work, I said they should perform slightly less, important distinction to be made there. Comparatively, men can perform more explosive work than women within a given training program and still effectively recover (Flanagan, Shawn D. 2014). Put another way, if you train a woman on the exact same plan as a man from an explosive-plyometric perspective she will likely get less out of the plan than the man, and also fatigue at a faster rate. We have already seen in the research that women recover poorly after explosive exercise, and we have even seen data demonstrating that women can take as long as 72hrs to recover from a sprint workout (Keane, M. 2015 + Dent, J. 2015). Since sprinting is a super important component towards improving on-ice skating speed, this becomes really important to care about as strength and conditioning coaches making speed and conditioning programs for both male and female athletes. You need to get them both faster, but the training volume approach they take to get there should reflect that 10% difference to support a female by truly maximizing her bodies natural tools. Although this is what most people normally jump to first when coming to conclusions about the training and nutrition differences between males and females, I don’t generally shine an overly important light on it due to the fact that there’s really nothing you can do about it. You know, outside of anabolic steroid use of course. There are two primary things to take away from the hormonal differences between males and females, and how that can possibly affect our off-season or in-season hockey training programming. TIP #1: Men naturally have higher testosterone levels than females, which leads to most of the reasoning why the strength difference between men and women in the upper body is dramatically different, whereas within the lower body the strength gap between genders is much closer. The upper body has a greater concentration of androgen receptors on it which are important receptors that testosterone will bind to in order to create its effects on the body. Having a greater concentration of upper body androgen receptors leads the testosterone in men to create a more potent effect on anabolism in these muscles than women. The main takeaway here is that females likely need a greater training volume and a greater training frequency in order to create gains in upper body strength and size than males would need. But if you are following the above increased training volume tips, you should already be taking care of this. Additionally, we have seen in the data that women don’t solely rely on testosterone for their muscle gain anyways. In fact, growth factors seem to play a huge role in females with this (Taekema, DG. 2011). As well as females have been reported to create 3x as much growth hormone as males, so we see some very clear “compensation” effects within the female body to make up for the lack in testosterone secretion (Vandenberg, G. 1996). Less testosterone isn’t as big of a deal if you have a few other hormones to pick up the slack. TIP #2: The hormone estrogen is not something to shy away from, even for males. Estrogen has gotten a bad rep in the past few years as far as what the local guru likes to post on social media without actually looking at any data. I’m here to tell you estrogen is A-OK for all hockey athletes. Estrogen is not this evil, bloat causing, fat storing, negative hormone that everyone makes it out to be. Literally, hundreds of studies have been done within the research that demonstrates estrogen actually is incredibly beneficial for muscle mass and strength gain (Brown, M. 2013). Let me repeat that, HUNDREDS OF STUDIES. What you will find in your hunt through the literature is that estrogen actually raises metabolism, aids in muscle repair, protects your joints from injury, and prevents muscle protein breakdown in the body (Velders, M. 2013 + Hansen, 2014 + Melanson, E. 2015). This is not a bad little cocktail of biochemistry to have in the body when trying to become the best hockey athlete in your league! It’s because of estrogen’s impact on muscle repair and prevention of muscular protein breakdown that many of the above training tips exist in the first place. One of the biggest reasons why women can handle that increased training volume is because women naturally produce more estrogen than men. To put this tip short, estrogen provides benefits towards both male and female physiology. Like anything else in biology, the problems only ever occur when you are knocked out of balance. Too high estrogen is not a good thing, and too low estrogen is not a good thing. But, normal and healthy estrogen levels are an important asset towards any optimally functioning physiology. Additionally, this elevated protection of lean muscle mass is a great thing to have for the times you are performing low-intensity steady state cardio such as jogging, biking, or walking which can all turn up the switch for catabolism. 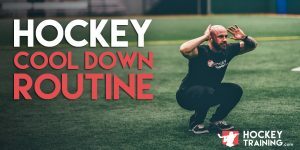 Building that aerobic base for hockey through these exercises is incredibly important (see here for a comprehensive breakdown: https://www.hockeytraining.com/building-an-aerobic-base-for-ultimate-hockey-conditioning/). We can’t skip out on this stuff, but in many cases, people do in fears of “losing muscle”. Well, the estrogen in women is a powerful anti-catabolic all by itself which helps women hold on to their muscle during these more aerobic-focused training blocks. Women also, due to their Type l muscle fiber distribution, respond better to steady state cardio in comparison to an interval-training-only approach. So it should be in their program more often already with that reasoning alone. To wrap this blog post up, I feel as though many women could benefit from incorporating some, or all of the above tips into their current training periodization so that they can begin to maximize their individual approach to off-ice programming. To reintroduce some context here, I know I discussed some very impactful points here that certainly separate male and female physiology; but don’t forget and understand that 90% of the process is still identical. Men and women’s training programs should be incredibly similar, but with the last 10% going the way of the training principal of individualization. This means leaning towards the female physiology to ensure they are getting their investment back from the time they are putting into the gym to become better hockey players. The 10% rule also covers almost all needs for females here as well. A woman should train like a man, but add 10% more volume each week. This would be a great place to start, and adjust accordingly from there based on your body composition and performance parameters. Then, once this increased volume is set in stone you can begin to incorporate the other important factors such as slightly less explosive work, longer sets, more reps, and movements that agree better with your hip function and knee stress. Some nutritional and supplemental guidelines change here as well to optimize female physiology, but we can save that for a future blog. Until next time ladies! 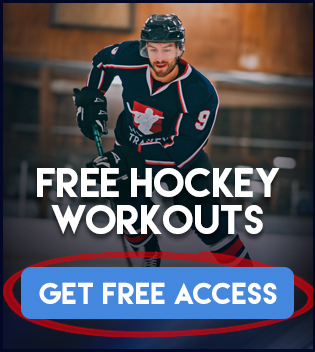 Feel free to check out our Hockey Training Programs if you’re looking to become a better hockey player! Thanks for the article! Looking forward to your future blog post about nutritional and supplemental guidelines and changes. Thank you for this article. Your article has shed light on a lot of observations I am experiencing, however ever really understood. Cannot wait for the next one!